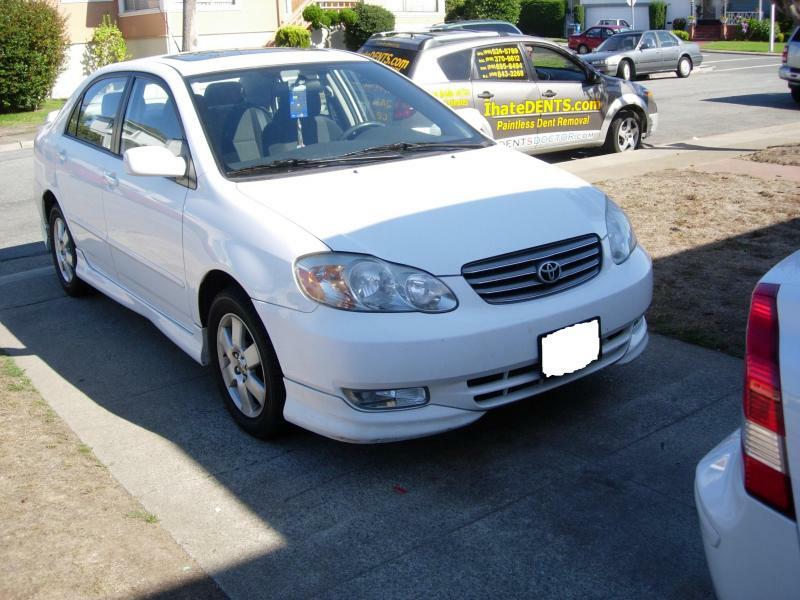 Auto Body - The best Dent Repair in San Francisco and mobile auto body repair in San Jose, CA. 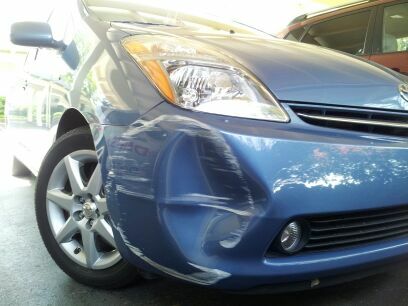 The best Dent Repair in San Francisco and mobile auto body repair in San Jose, CA. We specialize in PAINTLESS DENT REMOVAL, restoring your car to its factory shine without the need of refinishing. You don’t need to take your car to an auto body shop and leave your car there for days. We come to you and fix your dents in a short time at your convenient location. DENTS DOCTOR uses a high effective technic and an environmentally safe process. It's time saving and cost effective. Most Dents Can be Removed with Paintless Dent Removal Service but in some cases some DENTS can't be removed due to the limited access behind the damaged panel, the damaged area being to creased (wrinckled) or when a dent is to close to an edge and interfaring with the automobile's body line. In the picture can be seen a Toyota (red) Tundra pick-up truck where the dent couldn't be removed. The Driver's side front fender had to be replaced due to the severe damaged that couldn't qualify for the paintless dent removal service. The size of the dent dont matter. In many cases even a small dent cant be removed just because of lock of access behind the panel or if the dent is on or to close to an edge. Anyway in most of the cases dents can be removed with thePDR technics. When it comes to AUTO BODY SAN FRANCISCO to provide a mobile car dent repair service, we are here to help. Auto car dent repair systems by paintless dent removal service. Mobile Automobile Dent Repair Automotive Ding Removal are provided in San Francisco and in the folowing cities and counties: San Jose, Oakland, Scramento, Marin County, Mill Valley, San Mateo, San Rafael, Fremont, Santa Clara, Fremont, South San Francisco, Daly City, Palo Alto, Tiburon, Oakland Hills, Berkeley, Vallejo, Concord, Walnut Creek, Sunnyvale. Call us today for an appoinment for any dent repair or bumper repair and ding removal in San Francisco and anyhwre in the Bay Area. Save time and money on auto body repairs. Auto Body Work and bumper Repair In San Francisco CA Paintless Dent Removal Services in San Jose CA can be done same day in a very short time of period by Dents Doctor. Dent Bumper Scratch Repair in San Francisco CA and Auto Dent Repair in San Jose CA Ding Removal in Oakland CA free mobile Service. The best mobile auto body repair in San Francisco can be found at ihatedents.com. 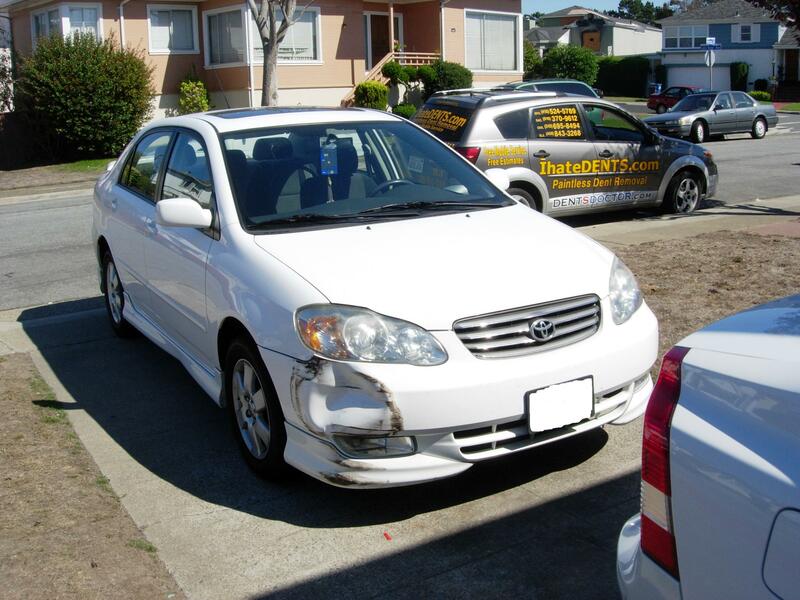 San Francisco Auto Body Shop and repair services provides a high quality work done by Dents Doctor.